Art Nouveau fans will be in heaven in Riga, Latvia where probably 30% of the buildings reflect this flowery architectural style. Wander these streets: Alberta iela, Elizabetes, Strēlnieku, Blaumaņa,Vīlandes iela, Šķūņu, Smilšu iela to view a roster of Art Nouveau masterpieces by notables that include Mikhail Eisenstein, Eižens Laube, and Konstantīns Pēkšēns. With facades bearing prominent pine cones, cherubs, a sphinx, elongated faces, dragons, lotus petals, gargoyles, and curiously-shaped windows (including a resemblance to keyholes), the buildings radiate a mythical feel that, at times, even convey a sense of the macabre. 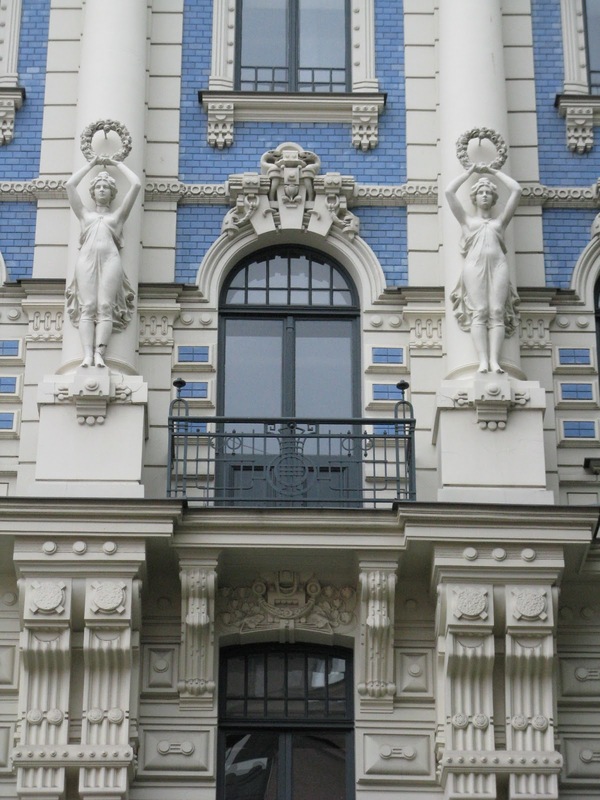 To further saturate yourself with the art nouvea vibe, spend some time in the Riga Art Nouveau Museum that's housed in lavishly-detailed former apartment of Konstantīns Pēkšēns. These facades below are just a few of my favorites. Love the detailed architecture photos. This is one place I've always wanted to visit. Hi Thomas, Glad you liked my photos. And if you need any travel help regarding what to see/do in Riga, don't hesitate to ask. Fantastic! I'm a fan of the style, but the only time I've ever read about Riga was in Henning Mankell's Wallander book, "The Dogs of Riga". Can't say that book did much to make me think I'd like to visit. 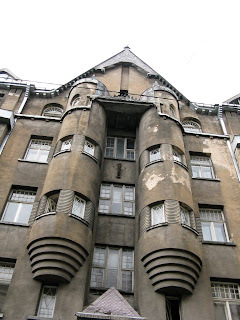 I had no idea Riga offered Art Nouveau! My dad travelled through Riga on his way out of Russia in 1919. I don't know much about Latvia - you've intrigued me! Hi Melanie, I totally understand. Riga was never top on my list either. I spent only two days there and wished I could've spent several more. It's got a very vibrant vibe. Hi Alexandra, I'm a big fan of Art Nouveau and didn't know it was an epicenter for that style until I arrived. Hi Brette, Riga was the only place I visited in Latvia. Reason for a return trip. I didn't know anything about this country. Great photos and great story. In a place like this it seems a walking tour would be the best way to really get a feel and take in everything. The architectural details look magnificent! Thanks for sharing! Oh my. So beautiful. I'm just stunned by the detail in that architecture. Hi Living Large, Thanks bunches. 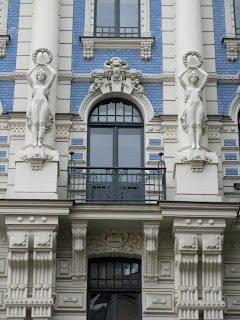 I always wanted to visit Latvia but didn't know about the Art Nouveau, which I'm a big fan of. Hi merr, In fact, I took a walking tour to get all these shots. It's the best way of getting around the city. Hi Jane Louise, The detail is amazing. I could explore the details of these buildings all day. Hi Irene, Glad you enjoyed this post.